A doula is a trained professional, who provides physical, emotional, and educational support and advocacy to a birthing person before, during, and after birth. Doulas have proven effective. A doula is not a primary care provider, and as such, does not offer or provide medical support. Birth work is my calling. I walk with each new person on the journey to bring their beautiful child into their arms. A calm, peaceful presence is a unique gift I bring into a birth room. Still know when it comes to advocating, I will not be quiet. You will not walk this journey alone. We will prepare together, from our first meeting, to your first meeting your child. What do you DO as a doula? As your doula I will meet with you for two prenatal meetings, be present with you during your labor, and meet with you for at least one postpartum check-in. I will work to empower you to make informed decisions to experience the birth you choose. "After [prenatal visits with Cheyenne], my husband and I both felt we had an adequate understanding of what to expect and so comfortable knowing Cheyenne would be there with us walking us through the process. At the hospital... Cheyenne took care of bringing me sips of water and putting little energy snacks in my mouth between contractions so that my husband could just focus on being by my side, holding my hand and talking me through the contractions. Cheyenne stayed with us the whole time, speaking encouraging words, tirelessly tending to my needs. She also took some beautiful pictures of the labor process and our delivery. We were so happy with Cheyenne and couldn’t think of a better person to be a part of our son’s birth. We would absolutely work with her again!" "Cheyenne was an AMAZING doula!! My husband and I really appreciate how she took the time to really get to know what my vision was for my birth plan. She was always highly professional yet very down to earth! We loved how if we had any questions about our birthing experience (both prior to be going into labor, as well as during labor) she was quick to respond and always was willing to provide me with resources to help me fully understand whatever I had a question about. I also follow Cheyenne's Instagram page @theeducatedbirth and let me just say, that was such an answered prayer because I am so visual and LOVED having an image to explain what I was going through!! We will continue to recommend Cheyenne to all of our friends and family!" This includes presence during labor and birth, all prenatal and postpartum meetings, and any additional communication we may have while I am your doula. 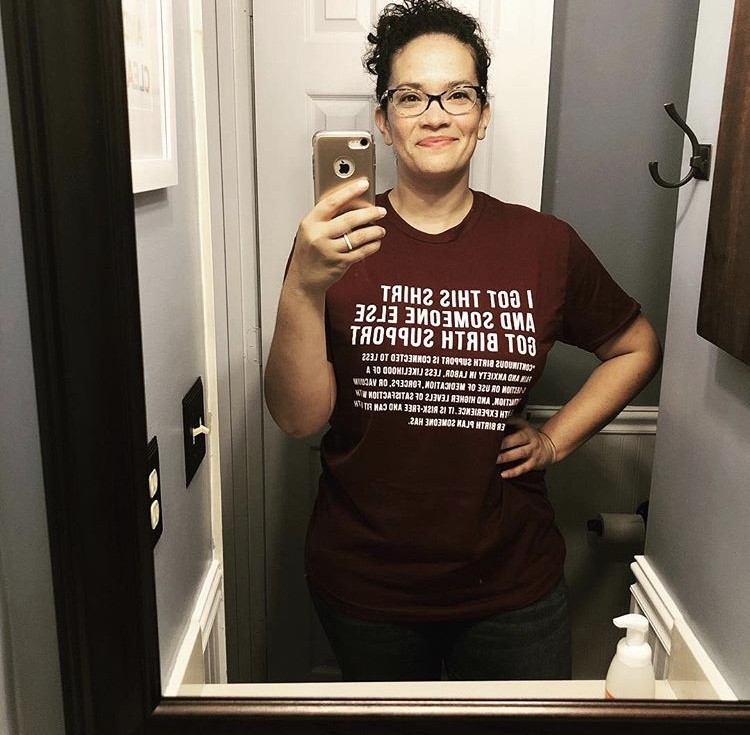 You Get a Shirt. 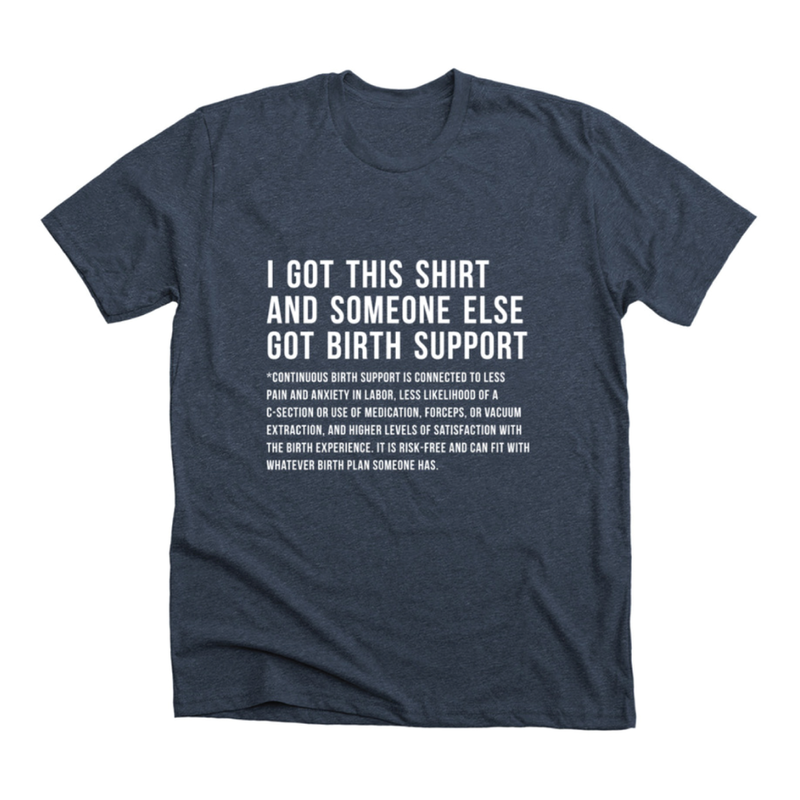 Someone Else Gets Birth Support. Community support helps make it possible for me to provide my services to families who cannot currently afford to invest in them. 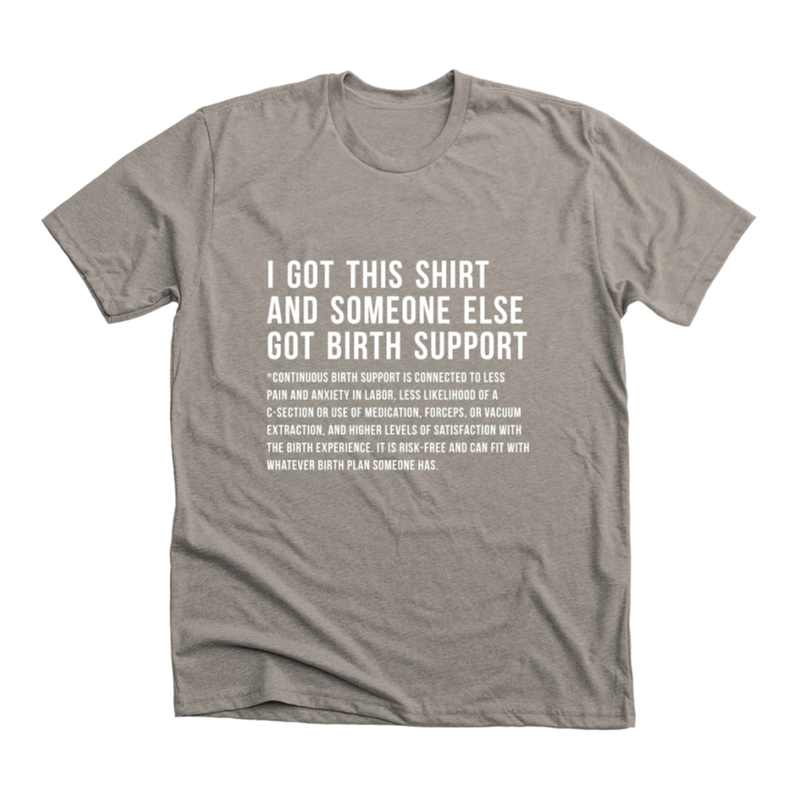 And it spreads the word on why birth support is valuable. Be a part of the work!